Exactly two years after the debut of the Michel Reis Quartet at Double Moon Records ("Hidden Meaning", DMCHR 71115), their next album is being released. 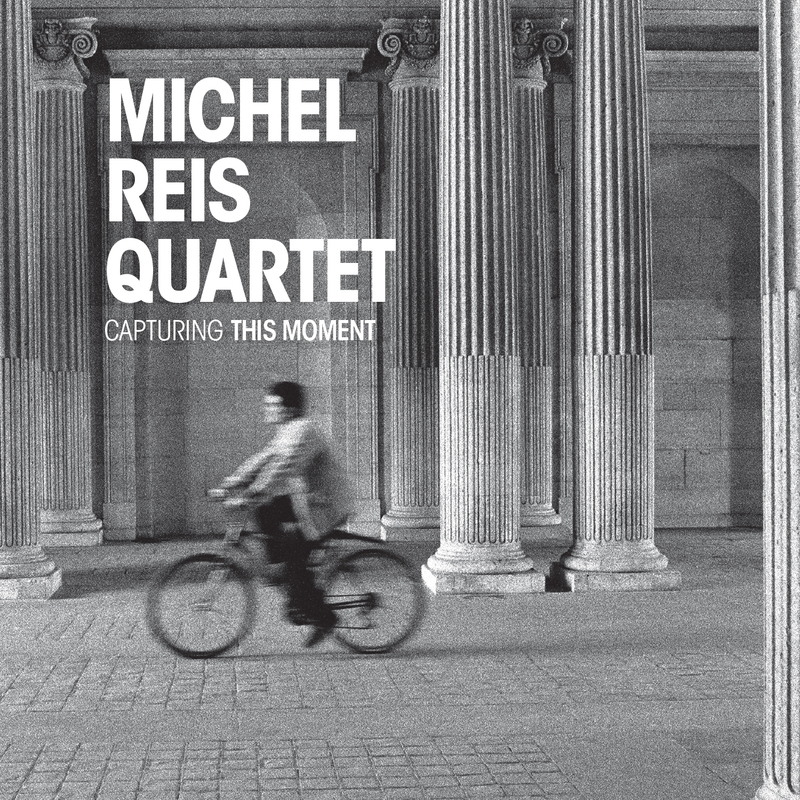 It again follows a central theme, which is pivotal for Michel Reis; compositions with romantic, almost melancholic melodies permeate the album, which has been created as a "total art work". Tailored to these and no other instruments or musicians, each piece is interpreted as a story in itself and for the recording as a whole. You can hardly ignore that the composition is the starting point and center as the focal point for all involved. Only then do the things that distinguish jazz and make it unique come into play: spontaneous, rich in ideas and even "transient" improvisation based on the given harmonies. Reis compares that with the work of a photographer; the later plans his shots with set objects at a certain place. However, a good photographer will take snapshots of situations spontaneously that are not planned, which he encounters on the way. Consequently, "Capturing This Moment" is a very appropriate title for this album. Michel Reis has again succeeded in creating an extremely convincing album with top-rate band members who interact fantastically. The Luxembourger Michel Reis first studied classical piano and then jazz piano in his native country before moving to Boston in the country of jazz's origins. He was not only able to study under many known jazz musicians, but also to perform with them: from Dave Holland to Joe Lovano and Esperanza Spaulding. He lives in New York in the meantime, but still maintains contact with Europe, as this CD proves. He has also toured worldwide and undertook two very successful tours in Japan. He is also going to play at several festivals and numerous clubs in Europe in 2015. This "extraordinary pianist" (Down Beat) will certainly go his own way! ""...his compositions with romantical, almost elegical melodies guide through an record, that is knowingly created as a "Gesamtkunstwerk", tailor made for this lineup and for no one else."" "The interplay of the quartet is fascinating. This simply is beautiful music, intelligent and unpretentious." "The music breathes an intimacy almost like the one from chamber music, the elements of compositions and improvisations melt together almost playfully into a moment of the quartet's art."